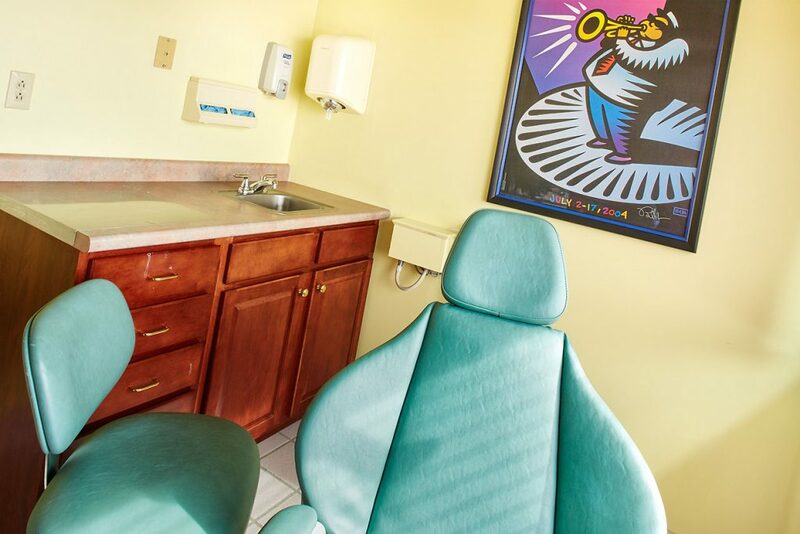 An orthodontist is a dentist specializing in correcting the bite, position of the teeth, and jaw problems in children and adults. An orthodontist is a person who has completed dental school followed by a full time extensive specialty program encompassing two to three years following the completion of dental school. When should a child first see an orthodontist, and are there signs parents should watch for that would indicate their child needs to see an orthodontist? 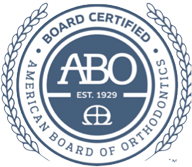 The American Association of Orthodontists recommends that all children see an orthodontic specialist for a checkup no later than age 7. How old are most people when they begin orthodontic treatment? Most patients begin orthodontic treatment between the ages of 9 and 14, but healthy teeth can be moved at almost any age. The right age to begin treatment varies with the patient. Orthodontists regularly treat older patients too – it’s very common to treat patients in their 20’s, 30’s, and into their Golden Years! Although most children will not begin treatment as the result of an orthodontic check-up around age 7, there is enough development of teeth, face and jaws by age 7 to assess whether treatment may be needed. If the orthodontist spots a developing problem that does not require immediate treatment, the orthodontist will most likely recommend monitoring the child during growth to determine the best time for that child to begin treatment. For some children, if the orthodontist feels that early intervention would be beneficial, early orthodontic treatment may help to guide the growth of face and jaws. While many of our patients refer their friends, family, and neighbors, a referral from a dentist is not required. Some dentists will provide a referral if they note abnormalities that they feel should be treated through orthodontic care. How important is proper occlusion or “bite”? The long-term effects of a “bad bite” are unpredictable. At times the patient is fortunate enough to have little or no problems. At other times, the patient may suffer severe TMJ problems or wearing down of the teeth, which is caused by improper contact with one another. How does a dentist test for proper occlusion? There are many ways to test for a proper occlusion. Some of those tests can be completed while the patient is in the office. Various types of registration materials are utilized so that the dentist can evaluate the pressure and contacts of the upper teeth against the lower teeth. A combination of models, radiographs, and muscle studies can be utilized to evaluate a patient’s occlusion to determine the changes necessary to achieve the desired occlusal relationship. An orthodontist is trained to correct occlusal problems. Some people experience occlusion problems after new caps or crowns. How is this corrected? Most of the problems associated with the occlusion after new caps or crowns are temporary and can be rectified by the person who placed the new caps or crowns. It is very important for the patient to return to the dental office that has completed the new restoration, should the patient feel that the occlusion is uncomfortable or uneven. The restorative dentist that has completed the restorations is best equipped to adjust the occlusion to its proper position. Are night guards important and what type of dentist should fit a patient for a guard? Night guards should ideally be made by an orthodontist in patients who are contemplating tooth movement. Many patients who are not anticipating tooth movement can have the occlusal guard made by the dentist who will ultimately restore the teeth to their final position with crowns, fillings, bridges, or implants. What are the newest types of braces? The braces today are very small and are available in stainless steel or porcelain (clear). There is also a new option for lingual braces, which are applied to the backs of your teeth as opposed to the front. Advancements in clear aligners such as Invisalign ® and ClearCorrect ® have also been made, offering you a variety of choices for your orthodontic treatment. Are there situations where braces cannot help correct jaw placement or occlusion? There are certain situations where braces will not be totally successful in achieving the desired result. Often times, braces require supplementing with other types of dental treatment. There are cases where jaw surgery is recommended to achieve the best occlusal relationship. There are also cases where a combination of braces and restorative treatment will be best suited. Sometimes this restorative treatment can involve fillings, crowns, bridges, or implants. Every case is different, so it is important to consult with an orthodontist to discuss what treatment approach will be appropriate for your situation. Clear aligners such as Invisalign ® and ClearCorrect ® are a popular orthodontic option due to their near-invisibility and removability. These aligners are made by computers through virtual simulation of tooth movement. This simulation allows them to create a series of clear, flexible, plastic aligners that mimic the simulated tooth movement in your mouth. These aligners are typically only used for uncomplicated cases, as major tooth movement is not generally feasible using this orthodontic method. What are some recent advances in orthodontics? The use of 3D imaging and other new software. More options for adult treatment – especially braces that are less obvious. Ni-Ti wires (developed by NASA) and any advantages they might have over other wires. Is it necessary to pull teeth for orthodontic treatment? Orthodontists strive to preserve as many of the natural teeth as possible. In some cases, an orthodontist may slenderize teeth by removing a small amount of enamel from the sides of some teeth and create room to move teeth into better positions. In some cases, it may truly be necessary to remove teeth in order to align teeth and jaws properly for a good bite and pleasing appearance.